Longitudinal behavioral data generally contains a significant amount of structure. In this work, we identify the structure inherent in daily behavior with models that can accurately analyze, predict, and cluster multimodal data from individuals and communities within the social network of a population. We represent this behavioral structure by the principal components of the complete behavioral dataset, a set of characteristic vectors we have termed eigenbehaviors. In our model, an individual’s behavior over a specific day can be approximated by a weighted sum of his or her primary eigenbehaviors. When these weights are calculated halfway through a day, they can be used to predict the day’s remaining behaviors with 79% accuracy for our test subjects. 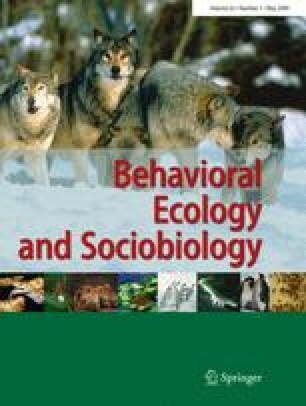 Additionally, we demonstrate the potential for this dimensionality reduction technique to infer community affiliations within the subjects’ social network by clustering individuals into a “behavior space” spanned by a set of their aggregate eigenbehaviors. These behavior spaces make it possible to determine the behavioral similarity between both individuals and groups, enabling 96% classification accuracy of community affiliations within the population-level social network. Additionally, the distance between individuals in the behavior space can be used as an estimate for relational ties such as friendship, suggesting strong behavioral homophily amongst the subjects. This approach capitalizes on the large amount of rich data previously captured during the Reality Mining study from mobile phones continuously logging location, proximate phones, and communication of 100 subjects at MIT over the course of 9 months. As wearable sensors continue to generate these types of rich, longitudinal datasets, dimensionality reduction techniques such as eigenbehaviors will play an increasingly important role in behavioral research. This contribution is part of the special issue “Social Networks: new perspectives” (Guest Editors: J. Krause, D. Lusseau and R. James).